I write a regular article for STAR News, a publication for Law Enforcement Personnel. While directed at Law Enforcement I quickly realized how this applies to organizational leadership as well. Any highly successful leader will tell you that the reason they were able to excel in their career and win the respect of their direct reports, is that they were able to foster an environment of trust. For some, this trust came easily, for others it was hard fought and won with time and a proven record. Regardless of which organization you represent, those that look to you as a leader must trust you. If they do not, you will fail as a leader, if they do there is no limit to the possibilities of success. The problem? The realities of our culture and the many examples of broken trust place the leader in a position where distrust is the norm. For this reason, the leader must make building trust a priority. Trust must be built at all levels to succeed. Allow me to explain. A man or woman of character builds trust at all levels; those below them, equal to them, and those above. This 360-degree approach comes naturally when one possesses integrity and has the character to respect and honor others. That mandate to be a 360-degree leader is difficult in Law Enforcement. While it is easy to earn the trust of our superiors and colleagues, it is extremely difficult to earn the trust of the people we serve. While difficult, it is not impossible. Each of us has a responsibility to earn the trust of others in three specific areas. First, we must build Interpersonal Trust. Interpersonal trust is built when we keep our word and when our communication with others is civil, respectful and wise. Interpersonal trust is the foot in the door to the development of comprehensive trust. Without it, the other two trust areas are meaningless. The second area of trust is one of Action or Application. Those we deal with must trust us to do the right thing, regardless of the circumstances. This is most important, especially in our field. We need the trust that we have each other’s back. We must know that one can be counted on when things get crazy. Trust of Action gives others the security that we care for their well-being and frees them to care for ours. 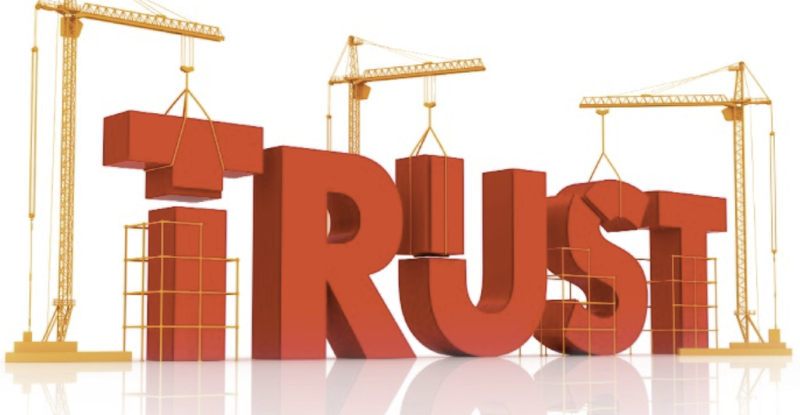 The third and final area of trust is Trust in Competency. This third area of trust brings with it a well-rounded relational trust to all parties. It is one thing to know you can trust an individual and their word. A new depth of trust is gained when you can rely on both their word and their deed. Comprehensive trust happens when you can trust their word, their deed, and their competency to accomplish what they set out to do. Competency instills trust. It is the capstone of the trio of trust. While this triple trust relation is applicable to business, family and any aspect of life, it is clearly brought to reality with the following law enforcement example. You have served for years with a fellow deputy that affirms that they will always be there for you. They have always kept their word, affirmed you on the job and encouraged you with their words. You have interpersonal trust! Eventually, you find yourself on the same shift and you roll to the same call. You enter a building with limited visibility, guns drawn, tactical light on, and he or she is right there at your side. You now have Trust of Action and the trust relationship deepens. Finally, the events of the night go south, you take fire. Your partner returns fire, as do you. His or her aim is impeccable and both of you get to go home tonight. You have Trust of Competency! No matter how you apply trust, no matter the situation, all three areas are necessary to truly be a trustworthy partner. On the street, in the workplace, or most importantly in the home, you must work on trust. I recently spoke with a newly married couple and grew in my respect for the husband. She had been married before and I admired them both as I heard the wife say: “He tells me he loves me all the time, and he shows me as well. He does the nicest things for me. He lets me see his love for me. Not only that, he has the ability to love. My first husband, though I think he tried, did not have the ability to love anyone but himself. I saw it immediately: Interpersonal Trust, Trust of Action and Trust of Competency, a truly healthy relationship.